Wall Hugger Lid features a sleek and attractive design for use with 23 gallon wall hugger receptacle that protrudes less than one foot from the wall. Drop Shot design helps conceal waste while providing an inviting enlarged opening for waste disposal. 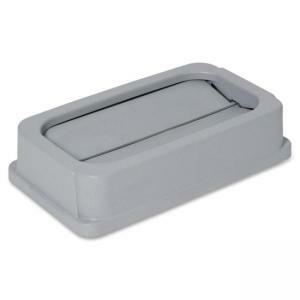 Gray lid is 20-1/4" wide x 11-1/2" deep x 4-5/8" high.